Hit the Town this Fall! The fall season means a lot of great things. Pumpkin-flavored everything, leaves falling, football season, cooler temperatures (well, sort of) and fun festivals. We’ve put together some of our favorites as well as a few we can’t wait to try. Enjoy! What: Enjoy a unique corn maze, duck races, animal feedings, giant slide and hayrides that are fun for the whole family. What: Bring your appetite! Enjoy a chicken bog cooking contest, live entertainment, car and tractor show, fireworks and more. What: Enjoy live music from local artists, delicious food, and of course, wine! What: Let’s get crafty! Enjoy a full day of arts and crafts, activities, an oyster shucking contest, and 5K mud run. What: Enjoy a kids AND pets costume contest and fun activities from noon until 4 p.m. (Registration for the contests begins at 11 a.m.) Afterward, enjoy a free showing of Hocus Pocus at the amphitheater that evening. What: If you like yams, this is the event for you! Enjoy a yam contest, pageant, sweet potato auction, cook-off, parade and more. When: October 27, 2018 from 10 a.m. until 4 p.m.
What: Who said summer has to be over? Visit Main Street in North Myrtle Beach for live entertainment, a fun kids' area, carnival rides and plenty of vendors. What: If you like music and wine, come on down to La Belle Amie Vineyard for some great food and live entertainment. When: November 4, 2018 from 11 a.m. until 6 p.m.
What: Relish in the many unique chili options offered at this popular event on the famous MarshWalk. Enjoy live music, fantastic food, and local brews from New South Brewery. What: Attention race fans: come on out to see the super trucks race, a SELLM feature race, a challenger race and more. What: If you haven’t been to this famous weekend event, you need to put it on your list! This indoor festival features a variety of popular bluegrass singers and bands. Food and drinks will be available for purchase.Cost: $40 per adult for one day, $20 per child ages 7-15 for one day, and under 7 is free with an adult. Three-day passes are also available. Just because summer is over, doesn’t mean you can’t enjoy a weekend or extended getaway at the beach. 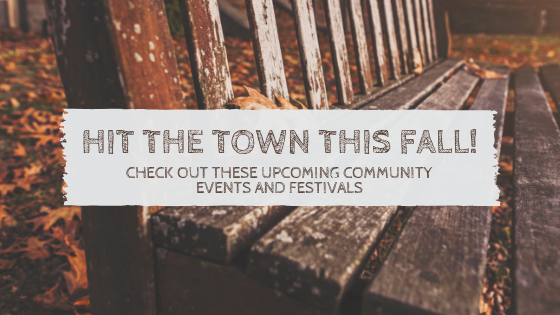 Less crowds, great deals and numerous events and festivals are just some of the reasons to visit the Grand Strand this fall.